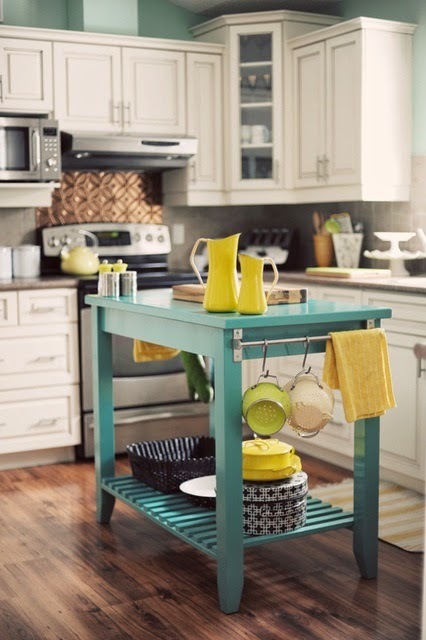 Turquoise, aqua, teal... whatever name you give it... it's a popular color right now! You see it in clothes, jewelry, bags, shoes, and many fashion accessories. 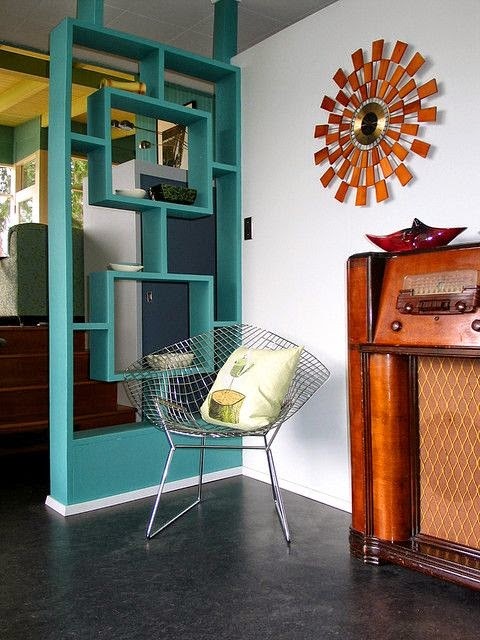 It's no surprise that turquoise is also a hot color trend in home design. Fashion and interior design often go hand in hand. 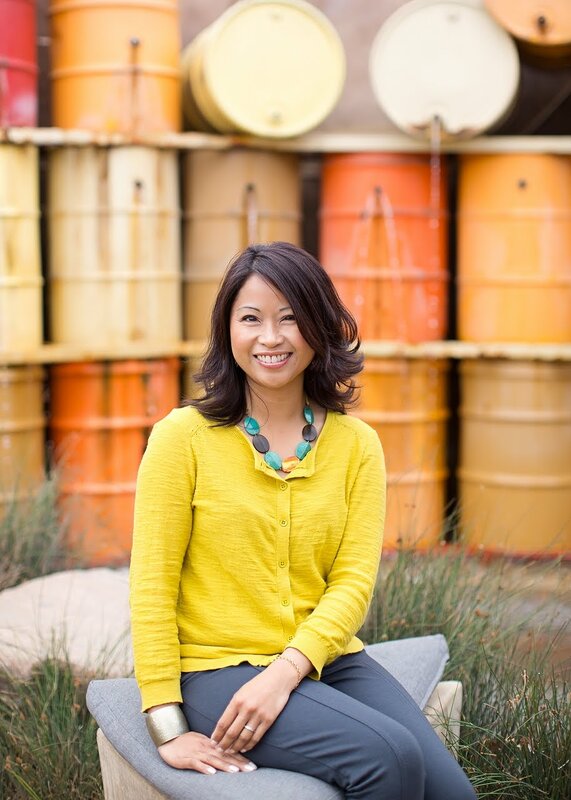 I personally love the color because it's bold, energetic, and happy! It definitely makes a statement. 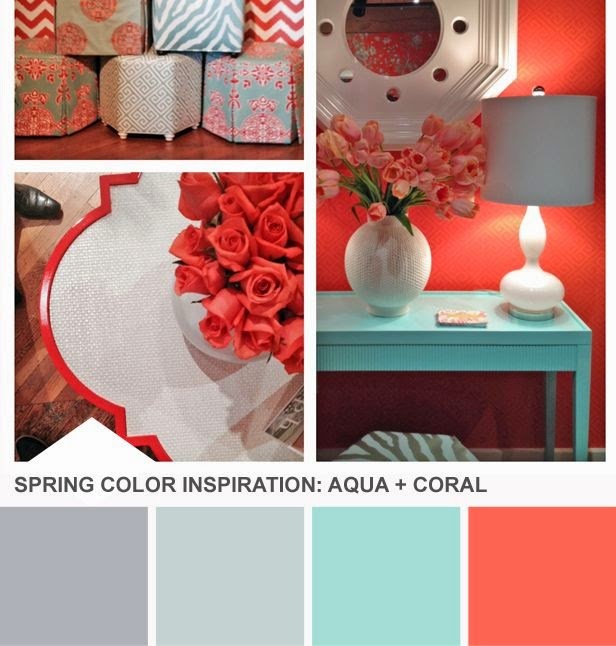 The color turquoise can bring a tonal or neutral background to life. 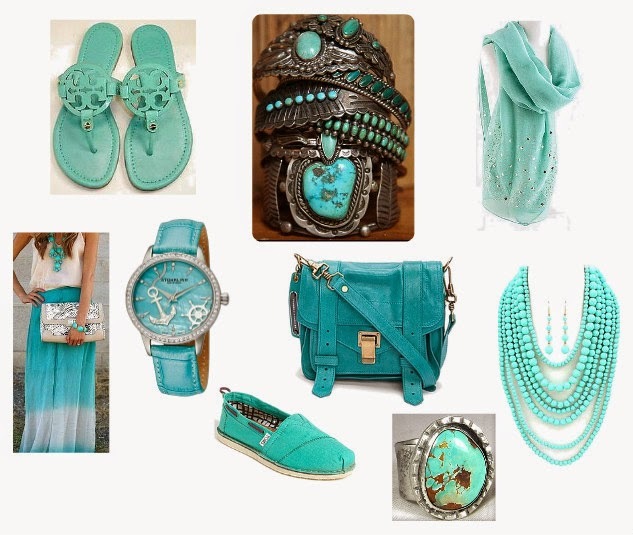 Use turquoise as an accent color. It's easier and more affordable to update accessories (if you wish) than furniture. 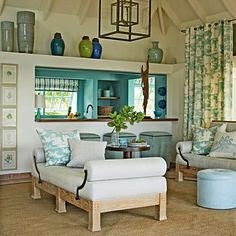 Try combining turquoise with 1 or 2 other colors in a neutral room. The combination will infuse color, pattern, dimension, and interest to an otherwise tonal space. 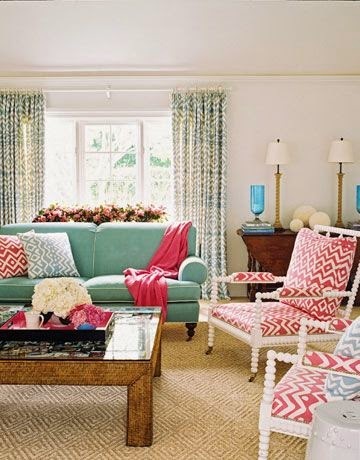 Repeat the color(s) throughout a space, but with restraint. Often times, less is more. Incorporate the color in unexpected ways (ex. 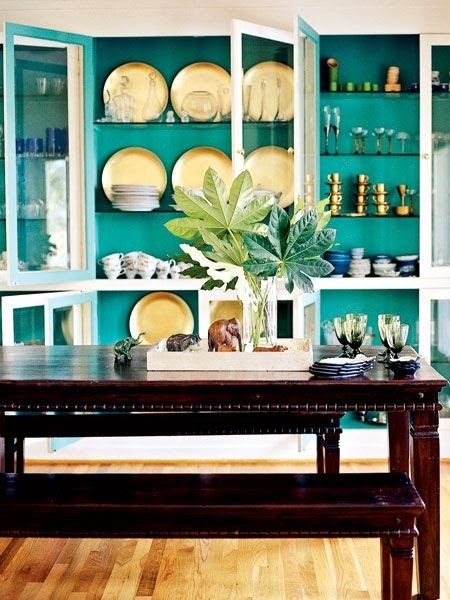 paint the ceiling, the back of shelves, or a vintage dresser in turquoise! ).